ACADEMICS | A section that covers curriculum-related experiences in the classroom and out. ADVERTISING | Dictated by budget and policy and can include business and recognition ads. ATTRIBUTION | Both quotes from an individual and information that is not common knowledge need to be attributed. BACKGROUND | Colors and photographs used to accent the page background. For maximum effectiveness, backgrounds are best used in light colors and in limited areas on the spread. Rarely should a background cover the entire two pages. BUDGET | Expectation for expenses and income; takes into consideration the plans to make the yearbook appealing for consumers and the costs of producing it, plus related expenses. BYLINE | A line of text at the beginning or end of a story that gives the name of the writer. CAPTION | Text accompanying a photo that adds information. Captions answer readers’ questions about the people, the action and/or the reaction in a photograph. Can range from identifying people and supplying minimal information to serving as ministries reporting the five W’s and H and including quotes. Also called cutlines. CHRONOLOGICAL YEARBOOK | A coverage approach that uses a time element such as seasons or months to organize the content in a yearbook. 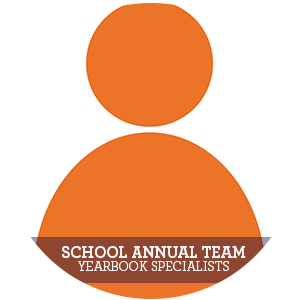 CLIP ART | Artwork, shapes, backgrounds, logos and borders provided for use on yearbook pages. All clip art is included in this Creation Guide which provides a visual catalog of the digital art. COLOPHON | A reader service that lists the staff, acknowledgments, printing specifications, awards and press association memberships. COPYRIGHT | Exclusive rights for the creator or owner of original literary, artistic or photographic material to make, distribute and control copies of that work for a specified number of years, as guaranteed by law. The use of copyrighted material without first obtaining permission from the copyright holder is copyright infringement and against the law. CONTRAST | Opposing elements spark visual interest. If all content elements are the same size, format, shape, weight or color, the design risks becoming monotonous. Variety is the key to keeping the visual presentation lively. COVER | The first thing a reader sees when receiving a yearbook, so it should make a positive first impression. Verbally, the theme is often introduced on the cover, either directly or subtly. While some staffs desire a custom cover exclusive to their school, others prefer to select a predesigned cover. CUT-OUT PHOTO | A photo treatment in which the background has been cut away from the subject. This technique is most effective for photo illustrations, rather than photojournalistic images, since removing the background alters the journalistic story the photo delivers. DEADLINE | The date that completed pages are due at the plant. Meeting deadlines is essential to keep the delivery of the yearbook on schedule. DELIVERY | There are two basic yearbook delivery options. Delivery is often dictated by school tradition. Spring Delivery allows for distribution at the end of the school year, but requires a shorter production time for the staff to submit pages. While, Summer/Fall Delivery provides a longer production cycle allowing the staff to include year-end coverage, but requires distribution in the late summer or fall. DIRECT MAIL | A marketing tactic that uses a sales letter or promo piece mailed to potential customers. DISTRIBUTION EVENT | A special activity for distributing and signing yearbooks. DIVIDER | Indicates a new section and provides design continuity throughout the yearbook. EDITOR | A student leader in charge of the entire yearbook or portion of the book. ENDSHEET | The heavy paper between the cover and the first and last pages that helps bond the inside pages into the cover. EXTENDED EDITION | A supplement that expands coverage for events including prom, spring sports and graduation that happen after the final deadline for a spring delivery book. FIVE W’S AND H | The six key questions a journalist must answer for the reader: who, what, when, where, why and how. FOLIO | The page number and word or images that might accompany it. FONT | A complete set of characters (letters, numbers and symbols) that share a common weight, width and style. Each font has a unique name such as AYT Foundation Sans. School Annual provides more than 200 fonts for use in the yearbook. GRID | A framework of vertical or horizontal columns used for organizing and aligning content. GUTTER | The center of the spread, where the yearbook is bound with thread and glue into the spine. Typographic elements should not be placed in this area. HEADLINE | The large type designed to attract readers to stories and draw them into the spread. A well-written headline summarizes a story and highlights its focus. HIERARCHY | Creates order and indicates importance through size and placement. A large headline and a smaller secondary headline placed above a story create a range of three different type sizes. This range or order is a hierarchy. IDENTIFICATION | Text accompanying a photograph identifying individuals and perhaps providing a brief explanation of the content, generally not a complete sentence or as detailed as a caption. INDEX | An alphabetical directory of every person, team, group, advertiser and topic featured in the words and photos on the pages of a yearbook. INFOGRAPH | Presents facts and figures, often poll and survey results, in a visual way that often includes illustrative art. INTERVIEW | A one-on-one question and answer session with a person closely associated with an event, activity or topic. By asking carefully crafted, open-ended questions, the responses will provide information and interesting comments for direct quotes. LADDER | A page-by-page planner and deadline tracker used to identify content, record deadlines, plan color placement and track pages submitted and proofed. The ladder is organized by spreads, multiples and signatures. The ladder should be completed before yearbook production begins. LEAD | The opening sentence or paragraph of a story. The lead introduces the story, sets the tone and angle and grabs reader interest. MARGIN | Boundaries established for the content; they provide a frame of white space along the top, bottom, left and right outside edges of the spread. MARKETING PLAN | Outlines the details of a yearbook sales campaign and highlights reasons for consumers to buy the yearbook. The plan includes goals/objectives, target audience, theme, timelines, sales dates, events, strategies and materials needed. MONOCHROMACTIC | Different values (tints and shades) of one color. These color schemes can be effective, soothing and authoritative. While monochromatic schemes can be the easiest to balance visually, they can lack the contrast and higher impact of other color schemes. OPENING | Introduces the story of the year and explains the yearbook’s concept. Includes the title page and the first spread(s) of the yearbook. ORGANIZATION | Covers the activities of school groups, emphasizing the value of membership and experiences. PARTING PAGE | The final page of the yearbook with a design similar to the title page; makes a powerful and final verbal and visual statement of the theme or concept. PERSONALIZATION AND ICONS | A popular yearbook accessory putting a personal touch on yearbook covers with a foil stamp name and up to four affiliation icons. PICA | A unit of measurement in graphic design equal to 1/6 of a inch, used for measuring the width and height of content elements. PHOTOSHOP® | A professional imaging software created by Adobe® that is used by staffs with the desire to electronically alter or edit images. Adobe® also offers other high-end creative options beyond image preparation and placement. POINT | Increment used to ensure precise design measurement. A point is 1/72 (or 1/12 of a pica) of an inch and is used for measuring typography and rule lines. PRIMARY HEADLINE | The main headline. Uses a few well-selected, creatively designed words to capture readers’ attention and deliver the dominant message, as well as an overview of the page content. PROOF | A final opportunity to review pages and make last minute, critical corrections before printing. Proofs need to be checked, corrected and returned to the plant within three business days to avoid production delays. Page Designer pages are proofed online before submitting. QUOTE | Word-for-word statements from sources, showing a reaction to, an explanation for or an interpretation of an activity, event or issue. Quotes with full attribution (person’s name, year in school or other identifier) add human interest to a story. RECOGNITION ADS | Recognition ads offer family and friends the opportunity to purchase advertising space in the yearbook containing personal messages and photos. Recognition ads are a great source of revenue for many staffs. REPLAYIT® | The school community can upload, view and share photos on the ReplayIt website or app. ReplayIt® adds value to the yearbook — at the end of the year, all of the content is sealed into a digital Time Capsule that students can access for years to come. RULE OF THIRDS | A method of dividing the photograph into thirds vertically and horizontally, creating four intersection points. The main subject falls into one of the intersecting points, a little off-center in the photo. SANS SERIF | The characters of a type font that have no short finishing strokes at the end of the main strokes. AYT Foundation Sans is a sans serif font. SCOREBOARD | Because the yearbook is a reference book, a scoreboard is an important quick-read story that must be included for each sport. The score for each game must be listed along with the team’s overall win/loss record for easy reference. SECONDARY HEADLINE | The second tier of information in a headline that adds specific information or details; often written in sentence style. SERIF | Tiny mark at the end of a letter stroke. A style of typeface characterized by these tiny marks or feet. AYT Foundation Roman is a serif font. SHIP DATE | The date that your yearbook is scheduled to be completed and shipped to your school. The ship date is set based on the submission of all deadlines on time and with the proper number of pages as well as the prompt return of all proofs. SPORTS | Covers interscholastic competition and other athletic activities involving students. SPREAD | Most common allocation of space, two facing pages presenting a variety of elements to tell a story; even and odd pages appearing as a unit. STUDENT LIFE | Covers activities in and out of school that directly impact students’ lives. It is a place to look at students as individuals, not as members of classes, clubs or teams. TEAM BUILDING | An important part of the yearbook process. The yearbook staff is a team that must work together. TEMPLATE | Master pages that maintain consistency within a design or section. Templates are original designs created by the yearbook staff or predesigned by Jostens as part of the Page Surfer collection. THEME | A central idea or concept that sets the tone for telling the story of the year. Repeated throughout the yearbook on cover and endsheets, and in opening, closing and dividers, it unifies the storytelling message of the book and gives it personality. THEME DEVELOPMENT | The best themes wed verbal and visual elements into a seamless whole. 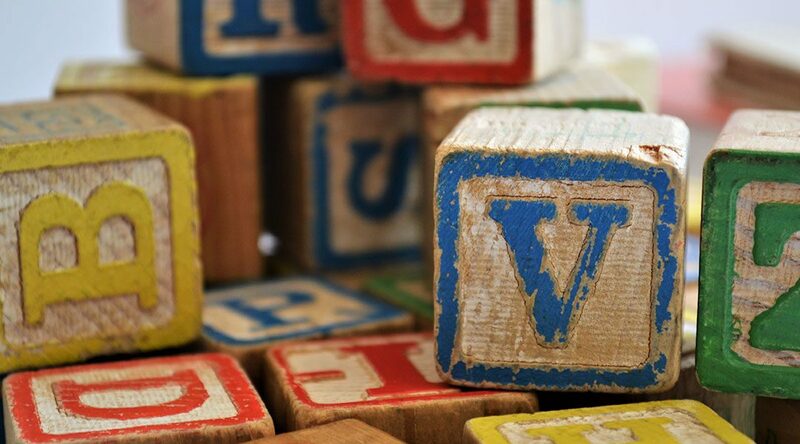 Verbal development “cool tools” include a catch phrase, section spin-offs, headlines and stories. Visual development cool tools include photography, typography and graphics. WHITE SPACE | An unoccupied part of a design; so named because the white background is visible. All white space should be planned and includes margins, interior spacing and rails. YEARBOOK ACCESSORIES | Enhancements offered by School Annual that offer additional content for the yearbook or personalize the cover. For more information, refer to the Yearbook Kit. YEARBOOK KIT | Contains the supplies and materials needed for yearbook production. School Annual ships the Yearbook Kit to your school each year in the summer/fall for the upcoming school year.